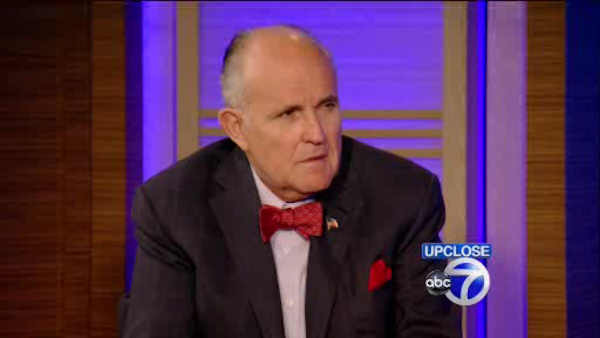 NEW YORK (WABC) -- Former New York City Mayor Rudy Giuliani Tuesday morning said some New York Muslims celebrated September 11th, but that Donald Trump is "exaggerating". "We did have some celebrating, that is true," Giuliani told CNN's Alisyn Camerota on CNN's "New Day." "We had pockets of celebration some in Queens, some in Brooklyn - 10, 12, 30, 40" people," Giuliani said. He added that Trump's characterization, that thousands were celebrating the attacks, is wrong and it's up to the Republican Presidential Candidate to show his evidence.